Home — Change Agent Network, Inc. THE WORLD HEALTH ORGANIZATION DECLARED LIBERIA EBOLA FREE! Praise God! The World Heath Organization today declared Liberia Ebola Free! This is amazing news for Liberia and friends of Liberia. God is faithful and many thanks to all of you for your tremendous support towards Liberia throughout the darkest days of the Ebola Epidemic. On behalf of the children and people of Liberia, we want to express our heartfelt gratitude to you for standing with us during our darkest days against Ebola. May the souls of all of those who die as a result of this deadly outbreak rest in perfect peace! This is a very big, big victory for humanity! We love you and we pray that God will continue to protect you and your family as well as bless the good works of your hands as you help to serve and save the vulnerable in our world. Praise God! 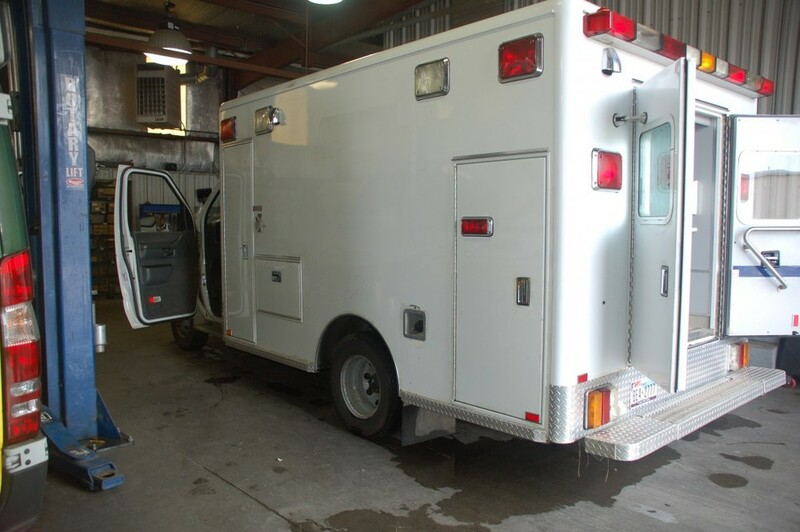 Acadian Ambulance Service based in Lafayette Louisiana, has donated an ambulance to Change Agent Network for use in Liberia at the Heart of Grace High School Medical Clinic. This awesome donation was made through the initiative of my friend and brother Neal O. Hargrave and Mr. Eddie Dupuis of Acadian Ambulance Service. Gentlemen, we are very thrilled and humbled at the same time by your kind generosity. This is a big help for us in this organization and our country Liberia! We are looking forward to what the future holds for all of us in our new established relationship! On behalf of the struggling people of Liberia, we say thanks so very much for everything and God bless you richly! Wonderful! Friday January 2, 2015 CHANGE AGENT NETWORK DC, Maryland and Virginia Office COLLABORATED WITH BROTHER’S BROTHER FOUNDATION & HOPE FOR LIVES IN SIERRA LEONE to RESPOND TO EBOLA OUTBREAK IN WEST AFRICA. Praise God and thanks all of you for helping to make this possible for the struggling people of Sierra Leone during this time of the deadly Ebola Epidemic in West Africa. These are very humbling pictures once again to remind us of God's faithfulness! This is Change Agent Network's latest Ebola Medical Shipment from the East Coast of the USA which is namely the DC, Virginia and Maryland States areas going directly to Sierra Leone to help our West African Brothers and Sisters. Very encouraging to see that we are not alone in this fight! God bless! Merry Christmas and Happy New Year to you all! This is a special update for all of you our fans, friends, family members, supporters and partners in progress all over the world. Your valuable partnership and support in 2014 of Change Agent Network was very fantastic and rewarding. In spite of the deadly Ebola Outbreak in Liberia, our various school campuses across the country are doing well. The local people that provided the labor to build these schools are taking good care of their school excellently well. Today, we want to bring you update on the Alexandria A. Andrews Academy High School in Gbarnga, Bong County in Central Liberia. This school is locally known as the Triple A. Academy located on the Lofa Road in Gbarnga, Bong County Liberia. During this difficult time of the Ebola Epidemic in West Africa, every school in Liberia is shut down indefinitely. However, our teachers, administrators and community members have been working very hard to keep their school campus clean and beautiful . Everything on this school campus is still intact and looking very good. We lost one of our teachers to the Ebola crisis but we don't know exactly at this present time how many of our precious children were infected or lost their lives to Ebola. We will not be able to know anything about them until we reopen school sometimes in 2015 according to the government of Liberia. Once again, from all of us here at Change Agent Network and the struggling people of Liberia, Merry Christmas and Happy New Year 2015. A great week in Waco Texas spreading the word, creating awareness and fundraising for more medical supplies for the fight against the spread of Ebola through “Operation Stop Ebola!” Definitely! We all need to unclog our pipes to let life and hope flow through us to others who are hopeless and are dying in our difficult world! After eating, drinking, wearing and enjoying everything we’ve been given, there comes a time when we must go to the restroom or toilet to unclog the pipe so that it can flow through us before we kill ourselves! Many thanks guys at Acts, Ramah, Refuge and all of our friends, partners and supporters in Waco Texas for once again allowing yourselves to be used as channels of hope and life to struggling who are people living on the margins of life. It was indeed a rewarding time for me and God bless the good works of your hands! For the past few days, the first Ebola case reported in America in the Dallas Metro area, has taken over the entire airwaves. It has become the major topic on social media, radio and television throughout the US and it is gradually leading to a national panic. Few months ago, we started our “Operation Stop Ebola in West Africa Campaign” The reason for us getting involved from the very beginning with the fight against this deadly virus in medical history is that, it is very personal and moreover, I realized that it would be very cheap, easy and better to battle this DEADLY EBOLA VIRUS in West Africa than trying to fight it here in the US or around the rest of the world. The Ebola Virus has gotten the whole of America going through panic right now although we have just one patient who has been in the country for just about two weeks. Well, let’s think about the whole of West Africa being shut down for months due to this deadly epidemic. The fight against Ebola is all of us responsibility! I have been seriously struggling to understand the reason why we as humans are unable to be good stewards of the earth and get our priorities strict. We tend to be disconnected from addressing the most pressing issues that destroy humanity. I will rather spend a $1.00 today to urgently save the life of a severely sick person and take care of that situation now than to sit and wait for that sick person to die, and then put up a $100.00 to give them a befitting burial. The disconnect between our minds and our hearts have made it impossible for us to live in a peaceful, loving, caring and prosperous world where there is HOPE and OPPORTUNITY for all. This Ebola Virus Outbreak started in a very remote/rural village in West Africa where the people have no education, no running water, no electricity no hospital and no opportunity to fight this deadly epidemic by themselves. Meanwhile, those of us who live in the urban areas of the country with everything including living in nice houses, driving nice cars and looking and smelling good, said to ourselves, well, the most important thing right now is that I and my family are saved and that disease is not coming over here to us in the city at all. We are very sorry for those poor, illiterate and stubborn people living in those villages. May God help them survive this attack on their deplorable villages or communities! We will be praying for them to survive this war. We can’t do anything about it right now because its gong to cause too much money and moreover, it is happening in a far-away place from our home. It is only happening in Dallas Texas and not here in my city or state, or it is only happening in West Africa so we don’t have to do anything! Out of sudden, the virus then finds its way into our mainstream society such as our cities and towns. Although, we live in big houses with high fences, security and modern technology to protect ourselves and our families, we are now surprisingly frightened because it has become a serious issue that is threatening our livelihood directly, it is affecting our comfort, our life styles, it is taking away our money and we can’t live the way we really want to live anymore. Therefore, we begin to blame other people for our own mistakes, for not acting fast enough from the beginning and so on and in the process create panic and confusion for everyone. SELFISHNESS AND GREED empowered EBOLA to start very small attack in rural Liberia on just two individuals, and then travelled to the capital city of Monrovia and now gradually spreading around the globe. I have never heard of Chinese, Indians, Americans or foreign business people dying like crazy from Ebola in West Africa. Neither, have I heard of massive death of our so-called accomplished leaders who live with their families in affluent communities in West Africa. Majority of the victims of the Ebola Epidemic, are the poorest of the poor who live in rural villages and the slums of our major cities in West Africa. SELFISHNESS, GREED AND CORRUPTION KILLS EVERYBODY! Ebola and HIV only kills the individual that has the virus. Meeting With Amb. Jeremiah Sulunteh and Family in DC To bring about real transformation and change in the lives of the next generation of Liberians, we must all come together and collaborate our efforts aimed at sacrificially giving back. We must create the future of our children and make it even better than our yesterday and today. Yesterday afternoon October 26, 2014 we had a three hour partnership meeting with the Liberian Ambassador to the United States of America Amb. Jeremiah Sulunteh and his family at their residence in Washington DC. It was a very productive meeting. The purpose of the meeting was to create more CHANGE AGENTS even in government offices and political sector of our world. We must become proactive and fully engaged in solving own problems. We must stop the blame and victim-mentality game. It is time for us Africans to step up to the place, put our hands out and lead the rest of the world in solving our own life long problems. We are the only people that can create the kind of country or continent we want to proudly call home. The outside world can only help in the process. We are the master architect of our own destiny! By the special favor and provision of God, we have been able to once again put together our second 18 wheeler or 40th foot container with necessary medical and food supplies to be shipped to Liberia first week in November 2014. This second consignment has about 22,000 pounds of rice value at about $10,000 US Dollars total. We purchased 20,000 pounds of the rice from Farmers Rice Milling Company based in Lake Charles Louisiana. The container also has over $35,000 US Dollars’ worth of assorted medical supplies to help in the time of desperate need in Liberia as a result of the deadly Ebola epidemic. However, right now we are still in need of about $4,000 US Dollars to pay for the container shipment to West Africa. The World Health Organization reported that new cases could reach 10,000 a week by December — 10 times the current rate… “We are fighting for people who are alive and healthy today, but will become infected by Ebola and die if we do not put in place the necessary emergency response,” Ebola victims are currently dying at a rate of between 35-40 per day. At the projected rate of expansion by December they will be dying at a rate of 350-400 per day. I am fighting for people whom I am deeply connected with and this makes it very personal to me. People to whom God has knit my heart! People whose hearts feel the same things that your heart would feel in their situation. As I write this email tears stream down my face. By the special favor and provision of God, we have been able to once again put together our second 18 wheeler or 40th foot container with necessary medical and food supplies to be shipped to Liberia first week in November 2014. This second consignment has about 22,000 pounds of rice value at about $10,000 US Dollars total. We purchased 20,000 pounds of the rice from Farmers Rice Milling Company based in Lake Charles Louisiana.